You are currently browsing the tag archive for the ‘kaiser idell’ tag. …and it looks fabulous in both the boho and more gritty industrial. I have been under the weather lately, but hoping to get back to my lamp restoration madness soon. I really want sort out those lamps I have sitting in the studio pronto, so I can get my own 6556 up and running…I just love the shape! 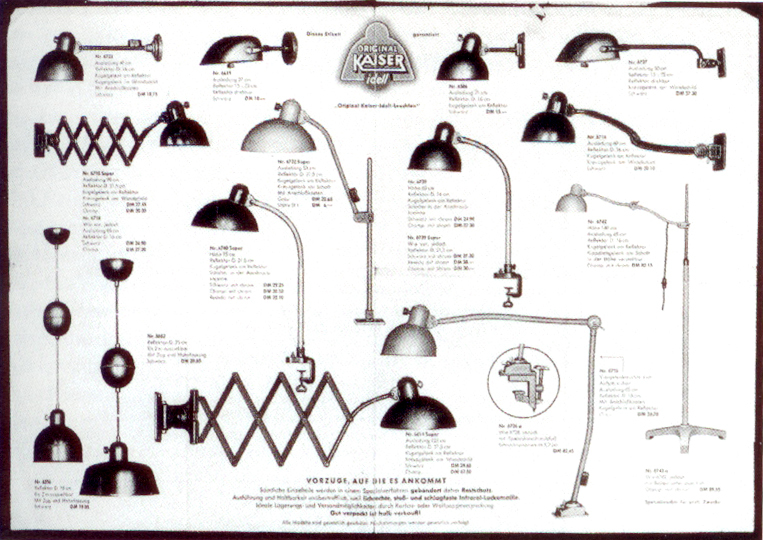 I have had to come to terms with the fact that there is no way in hell that I can find images of all of Dell’s lamps…there were over 500 designs for two companies, Bunte & Remmler and Gebrüder Kaiser & Co.!! The man was seriously prolific. The designs were produced for large scale production and relied on interchangeable standardised parts (love that they use to do this. Wish you could still buy things with interchangeable bits to change them.). 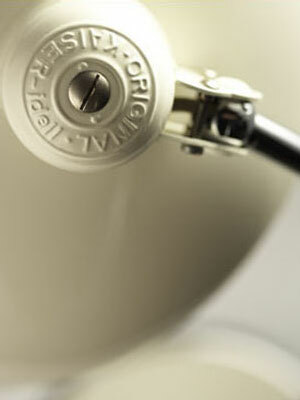 The Kaiser Idell range remained in production for over 60 years…and are now being produced again! 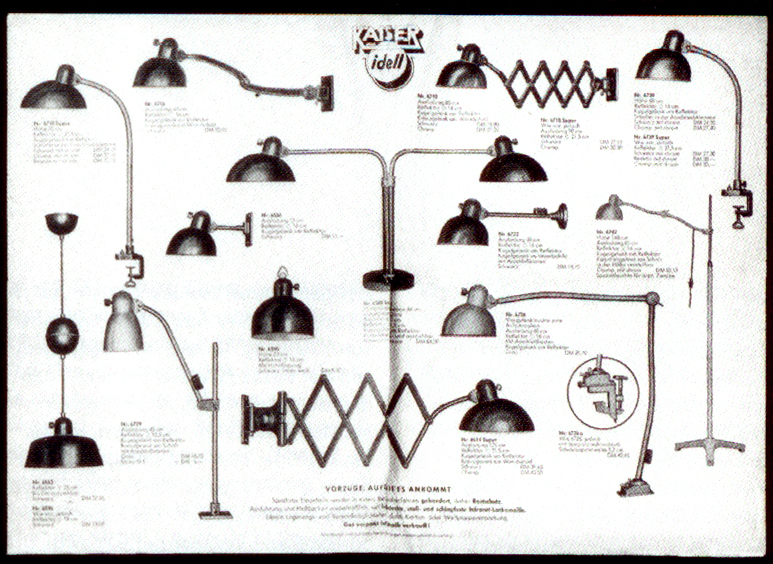 Here is an image of a Kaiser Idell brochure from 1935 showing their current models of the year. I did find a German site called Lumieres which has photos of many of these models, if anyone wants to see more. My newest weekly (or so it seems!) 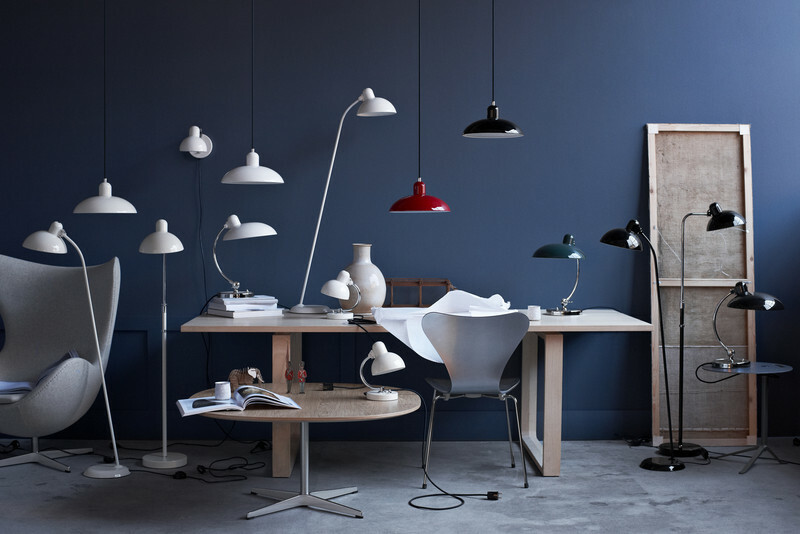 obsession are Kaiser Idell lamps. 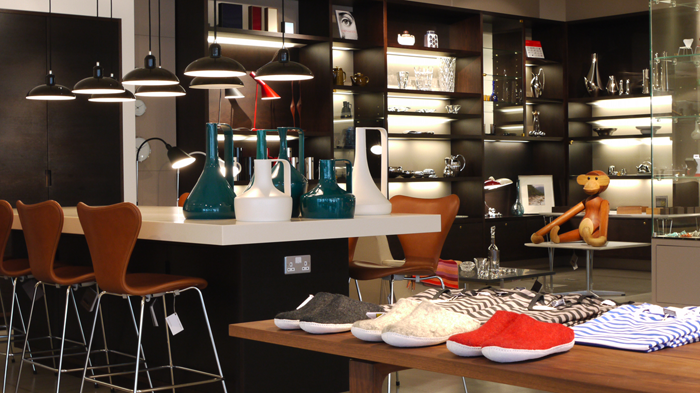 …and got a serious drool on when I saw the Idell lamps in real life! 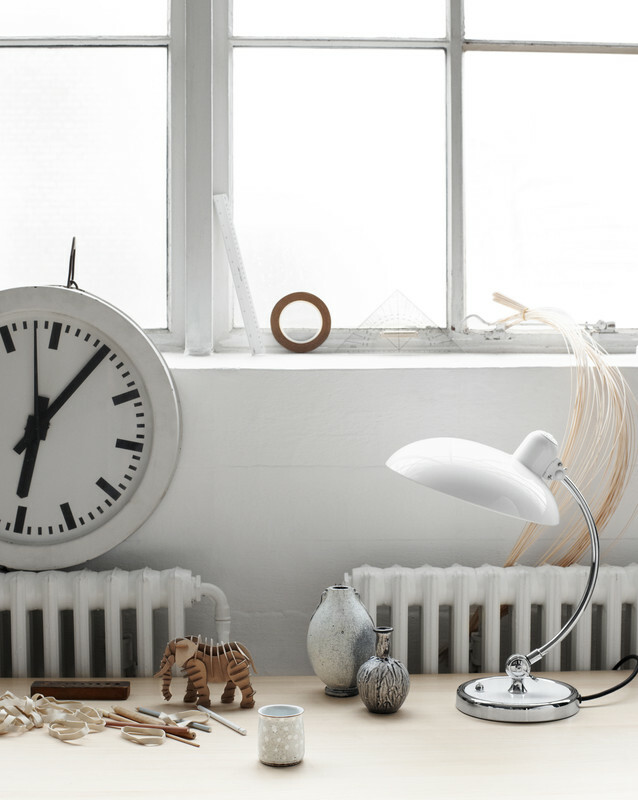 The ones show above have been re-released by Fritz Hansen and are really solid, glossy and gorgeous. The Luxus 6631 desk lamps are much larger than I expected and make a huge statement on a table. Beautiful. When you see them you’ll notice that all the ones produced by Kaiser Leuchten GmbH have ‘ORIGINAL KAISER IDELL’ stamped on the shades. It is so exciting to be learning more and more about design classics and one of the most interesting parts is finding out about the designers themselves as I do my research! A little background – initially a silversmith, Christian Dell designed numerous lamps and was the principal of the Bauhaus metal shop from 1922 to 1925 before Hitler dismissed him. His biggest success, the iconic KAISER Idell – ‘idell’ standing for Dell’s ‘idea’ – were produced during this time in cooperation with the lighting manufacturer Gebr. Kaiser & Co. in Neheim, Germany. I thought I would try itemising all of the ones I could find, as there doesn’t seem to be a reference for them all anywhere online, and, let’s just say it – I am a huge, categorizing NERD!!! There seems to be a gazillion different models, though…a bit scary! I think this might take a while…so lets see how far I get. Here is a bio at Ketterer Kunst if you want to read more about the man.